Employee Appreciation Golf Tournament - Protoplast Inc.Protoplast Inc.
Protoplast hosted an employee appreciation golf tournament. 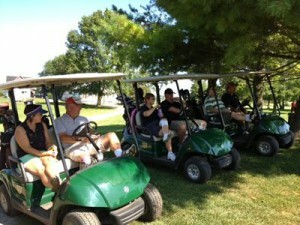 This tournament was a was fun-filled day held on a beautiful sunny day at Ashbrook Golf Club, in Port Hope. 9 holes, plus dinner and prizes. Special thanks to the suppliers who contributed to our Golf Tournament.